Did you know you can actually make money crocheting? I’ve been running my handmade business for a while now, and over the years, I’ve built up a solid income that gives me a little more freedom and security. 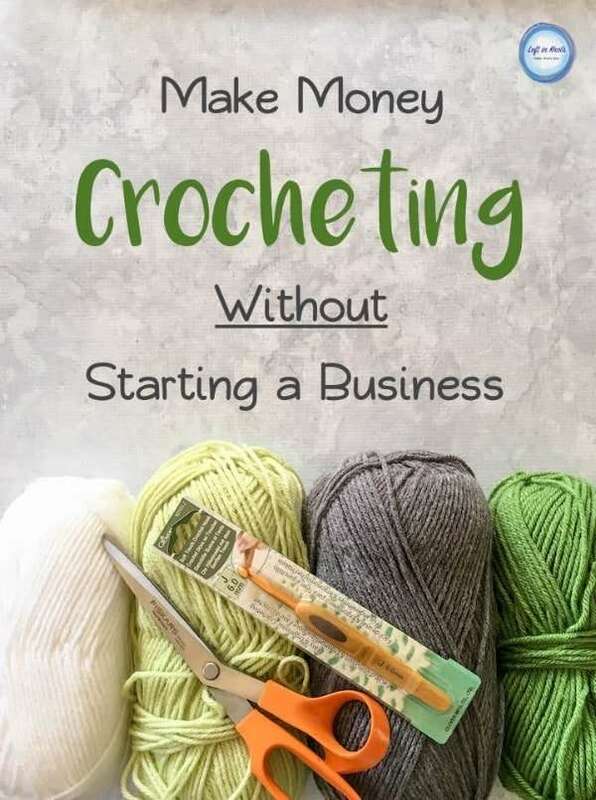 My number one way to earn money with crochet is through blogging, but there are several different ways to make money online and you can incorporate them into your life too. 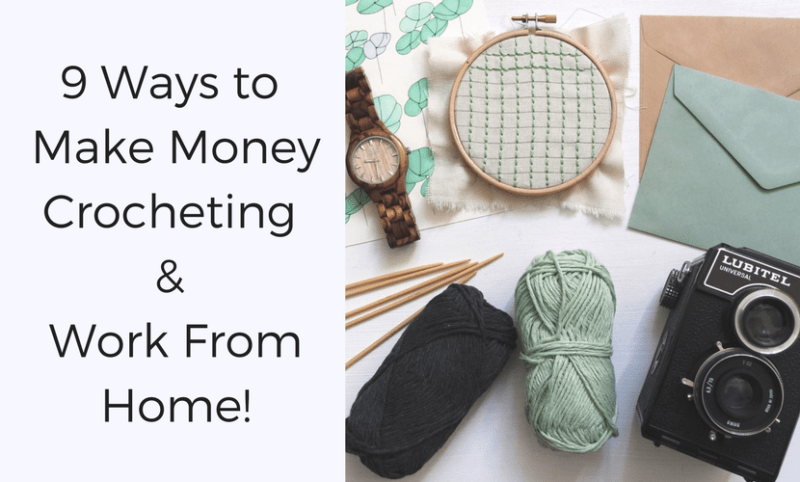 In this post, I’m going to share with you 9 ways to make money crocheting and work from home, along with resources for anyone who wants to open a shop or start a blog! Before we dive in, I have one resource I want to share for anyone thinking about going down the blogging route. When I started blogging, I looked everywhere for resources and other bloggers to teach me what to do to be successful. For a very limited time, Ultimate Bundles is offering a bundle called the Genius Blogger Toolkit that has ALL of the best resources, guides, workbooks, printables, and courses from amazing bloggers that I learned from and so many more in one easy package. This bundle is only available for a short time, so take a look and sign up to learn more about it in the coming days. I’ll talk more about blogging towards the end of this post, but for now, let’s get on with the other ways you can make money crocheting. Whether you’re looking for a side hustle to supplement your income, or you just crochet a lot and want to turn that into cash, here are a few ways to make money. Now, I want to start off by saying that these are all great options, but they take work. You have to promote yourself and stay on top of things to really be successful. Rather than discourage you from trying, I want to give you a realistic expectation of what running a crochet business is. Anyone can set up an Etsy shop or sell a few pieces, but you need to be dedicated and put in the work to get something real out of it. If you crochet a lot, chances are you have things that you’ve made things just for the sake of making them. Sell them! Post them on Facebook to share with your friends and family, and give people a chance to buy your work. If there’s something you can make, like simple beanies and little blankets or baby clothes, people will buy them. There’s a huge market for handmade things and it’s one of the easier ways to make money because you’re already creating pieces. Make what YOU want to make: If you love making hats and beanies, make them! If you want to make amigurumi, do that! It’s totally up to you what you want to spend your time making, so you actually enjoy doing it. YOU decide how much you get paid: You’re the boss, so you get to decide how much you want to be paid for your time. You can charge whatever you like so if you want to sell a blanket for $50 or $200, it’s up to you. Other things to think about here are the cost of materials, time spent, what others are charging, etc. Work when YOU want: Everyone’s schedule is different, so this way you can make your items whenever you have the time to do it. I get a lot more done in the evenings after dinner, so that’s when I focus on making my items. If the morning is better for you, do that! It’s a LOT of work: It’s not as easy as just whipping up a beanie and listing it. To get things to sell, you will need to make time to crochet a stock of items, promote them, ship them and stay on top of your other responsibilities too. It can take time to see results: It may be weeks or months before something actually sells. Especially as a new seller, it can take a while for someone to make that first order. Then the next, and the next, until you have that consistent market built up. Knitting/Crochet is seasonal: In the Fall and Winter, you’ll see a lot more orders and make more money, but the flipside is also true. Spring and Summer are slow for selling warm and woolly products so no matter how well you’re doing, there will be slumps in the warmer months. You don’t need a shop or a website to sell your finished pieces. Before I started my shops, I would sell to the people around me and get business through them. I made a baby blanket as a gift for my cousin and told her I actually sell blankets. So the next time someone needed a baby blanket, she would think of me and promote me. She was able to give a good review of my work and I was able to get business, even though that first blanket was a gift. The important thing is to market yourself and set a good price for your work. But once you take it more seriously, here are some places you can sell your crochet. Taking custom orders is a great way to make money. Unlike selling items made ahead of time, custom orders give buyers a chance to have something one of a kind. It also gives you the chance to sell something for a little more money because it is custom. Again, you just need to let people know you’re doing custom orders and be able to provide what they’re looking for. To help with this, I created a planner that I use to keep notes of all my projects, including customs. I can use it to track what was asked by the customer, how I made it, and what I charged them. The planner keeps everything neat and right on hand for when I need it. I make the most money with my custom blankets. Once I started telling people about these blankets, I would give them options. They could pick different colors, finishes/borders, optional names added to the blankets, and different price points. This way, you can work with the potential customer and tailor it to their needs so they will be happy to pay the price for a custom, handmade item. Some other things you can make custom: dolls, blankets/garments with names on them, toys for a specific character. You could do anything really, so keep pictures of your work so you can show others what you can do! You can make a lot of different things: I love customs because I get to try new techniques and work on things I might not have done otherwise. It’s a lot of fun if you’re more adventurous in your crochet and willing to put the time into learning what you need to. You get to collaborate with someone else: You can work with your customer to come up with a great design and choose colors you both love. It’s so much fun to get someone else ideas involved and see the piece come together, and it may be a favorite of yours too! You can charge more: A custom order is much more valuable than something ready made. The customer gets to choose everything and they pay extra for the luxury of having something unique and exactly what they want. There’s usually a deadline: Making something custom for someone usually means they need it in time for a special occasion and there’s a hard deadline. You HAVE to get it done in time, even if it means doing nothing other than crochet for a week – not ideal if you have a busy schedule. Sometimes customers are rude: This is going to be true with any of these way to make money, but sometimes people can be rude and pushy. They paid for custom and that can make people feel entitled to act a certain way. You can usually tell from an initial conversation how a customer will act throughout that relationship. You don’t get to choose what to make: Going off the last point, you don’t really get to pick what you do with custom orders. Yes, you can say no if you don’t want to do it, or you can say you only make custom blankets or whatever, but at the end, what you make is what they asked for. P.S. I’m taking custom orders! Just send me a message here or on Etsy to work with me 🙂 You can also do custom orders at the places below. If you want to expand on the “selling your items”, consider opening up an online shop. I’m adding this as a separate thing from the two above because although they go hand in hand, it’s a bigger undertaking. Selling to family and friends is a great way to start, but there’s only so much you can sell them. By opening up an online shop, you can reach a bigger audience and get more new customers, and there’s a lot more behind the scenes work and more options in opening a shop than in just selling items. There are lots of different places you can sell online, although some of the best known are Etsy and Ravelry. You can sell a variety of things: You can sell finished crocheted items, patterns, kits, resources, and so much more on a shop like Etsy. Depending on where you set up shop, you can expand your market with more varied products all in one place. I love Etsy for this reason – I can sell my overstock items, take custom orders, and sell my patterns and resources. There’s a much bigger audience: With an online shop, you can reach a lot more people who want to buy what you’re offering. Bigger audience > more sales > more money. Easily view stats and finances: If you sell in an online shop, there’s a built-in analytics page that will show you how well you’re doing and what sells. You can (and should) keep track of this information on your own anyway, but it’s so much easier when the shop does it for you. There’s more competition: A big audience means more people are trying to sell their things too, so you have to work to be seen and stand out from the competition. There are some fees: You’ll have to pay some small fees for things like listing items and shipping to other places, but if you work them into your pricing, they don’t make a big difference. Promote, promote, promote: You need to promote and share your shop like crazy to be seen and make sales. This isn’t really a con, but it’s the reality of having a shop that’s actually successful. Etsy – you can sell all kinds of things so it’s great if you want to branch out and see what works for you. I started by selling patterns on Etsy as PDF downloads, and all of my patterns are added to my shop. But I also sell finished items that I can ship out to customers and I even take custom orders now. There is a small fee for listing items, but if you use my referral link, you can get your first 40 listings free! 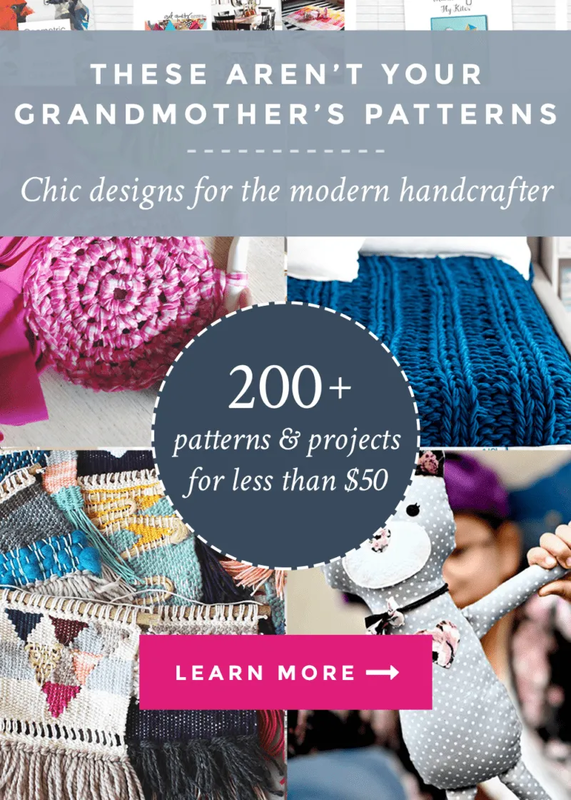 Ravelry – you can only sell patterns. But because Ravelry is more focused on knitting and crochet rather than all things handmade, everyone there is already looking for patterns. There’s no listing fee, and it’s easy to set up. If you’re really good at knitting or crochet and can explain it to others, consider writing your own how-to book. 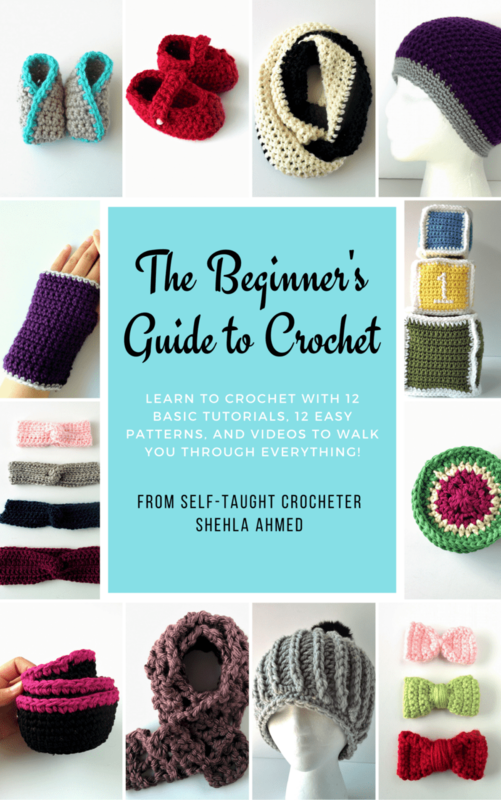 You can write a book for teaching beginners, like my Beginner’s Guide to Crochet ebook. I offer this for free now, but I also made good sales from it! You can focus on a specific technique you want to teach, like creating different borders. Or you can even create several patterns around one theme and publish a collection of patterns. Once you have an idea, you’ll need to create the items, write patterns, and get photos of everything. Then make it into a book/PDF that you can sell on Etsy, Amazon, your own website, etc. I could go much more in depth on this topic so let me know if you’d be interested in that. Work at your own pace: Becuase this is something no one is waiting on, you can take your time and create a book that you’re proud of. You set your own timeline and get everything done at your own pace. Total creative freedom: It’s your book! Include whatever you want and focus on things you enjoy and are good at explaining. You get to make it how you like from start to finish. My book above has all the things I wish someone had included in beginner courses when I was learning crochet. I didn’t find it then, so I made a book that I would have wanted! Once you’ve made it, you can sell it over and over: Passive income is the best. Once you create a digital product like an ebook, you can sell it for YEARS without doing anything extra. It’s money in your pocket from one time’s effort. It takes time: Writing a book is a longer process than you’d think – from creating a concept, making the items and patterns, drafting, taking pictures, editing, and creating all the other things that go into it. If you have a skill like knitting or crochet, you can teach others too! Local yarn shops and places like Joann Fabrics and Hobby Lobby always have classes going on, and they need instructors. Go in and ask about how to become one. You don’t usually need any certification, so it’s a great way to try out another avenue to make money crocheting. If they do ask for you to take a course to certify you, that’s only going to help. Here’s a great post about how to get paid teaching crochet. You can always host your own classes too! People are always interested in learning to make something new. So, create a class yourself and charge an admission fee. You can provide the supplies or have them bring it themselves. You can plan it as an event on Facebook or leave flyers at the local library (with permission). Have somewhere for everyone to meet up. It could be your home, or a cafe, or bookstore; anywhere really. Even if only a few people show up at first, you’ll be able to work with them more closely and they will give you better reviews for that. It’s an easy way to make money: Find 5-10 people who want to learn, you can charge $50 for the class, and you’ve made $250-500 in one day. Think about how long the class will be, how thorough, materials for the class and set your price accordingly. Schedule it when you want: You can hold the class as often as you like and if you do it at a community center, craft store or library, you can even set up a regular schedule with them that works for you. Meet other people who love crochet: Teaching a class is a great way to find people in your community who enjoy what you do and make some friends! Know yourself. This isn’t a con as much as it’s advice. Teaching comes more naturally to some people than others, and you have to be patient when teaching anything. If you can do that, go for it! One of the most common ways to make money crocheting is by joining a craft fair. This way, you’re setting up where people will see you. You will need to pay a small vendor fee to participate and get your booth set up, but it’s worth trying. You can find local craft fairs around you and how to participate by doing a quick Google search. Because craft fairs are more public and there will be others selling their own stuff too, this can be a great way to market yourself and make friends. Have a stock built up of things you want to sell, appropriate for the season, and give it a try. Sell a lot in one day/weekend: If your product is good, you can rake in a lot of sales in a single weekend. The kind of people who go to craft fairs is probably your ideal customers in one place. They want unique, handmade items and they’re willing to pay that price for it. It’s a social way to sell: Craft fairs can be great for meeting people who like the same things you do. You get all the crafty people in an area together, you’re bound to make some friends! You get to shop too: Bring a friend with you and have them watch your stall for a bit while you look around at what others are selling. What did others make? Get tips from their displays, look around and have fun. There are initial fees: You’ll have to pay a fee to register with the craft fair and get a table. These aren’t much, but it is something you need to do ahead of time and it’s usually nonrefundable. You have to create a stockpile beforehand: In order to have enough products for people to buy and look through, and have your table looking nice, you need to crochet a lot of items beforehand. This is going to involve lots of planning and deciding what to make and sell, and how much to price it to make it worth it. You have to pay for the materials ahead of time: Because you’re making product ahead of time, you’ll need to pay for the materials and yarn and whatever else. If you don’t sell your pieces, you may have just spent a ton of money on materials without getting much back. Or you sell everything and made way more back. It’s a little bit of a gamble. 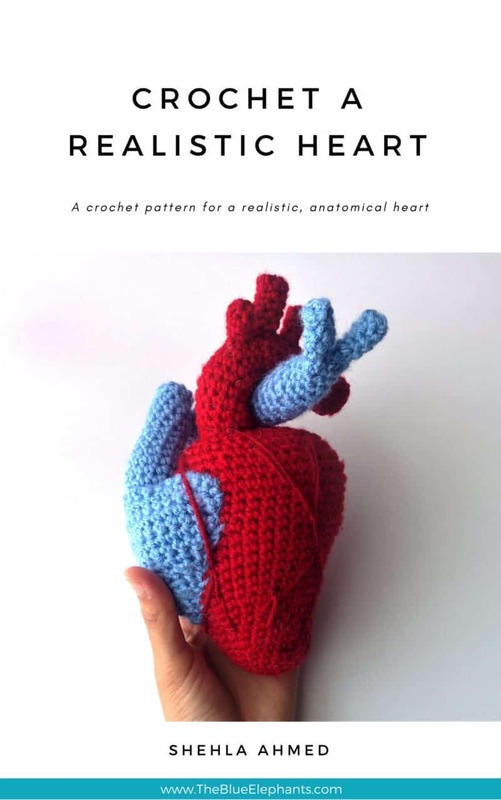 One of the best ways to make money crocheting is by writing and selling your own patterns. If you’ve ever found yourself adjusting patterns or whipping up something on the fly, then you can design items. The next step is to learn how to write out your instructions in a clear, methodical way so that others can follow. You only need to write a pattern out once and then you can sell it over and over again, creating a source of passive income. 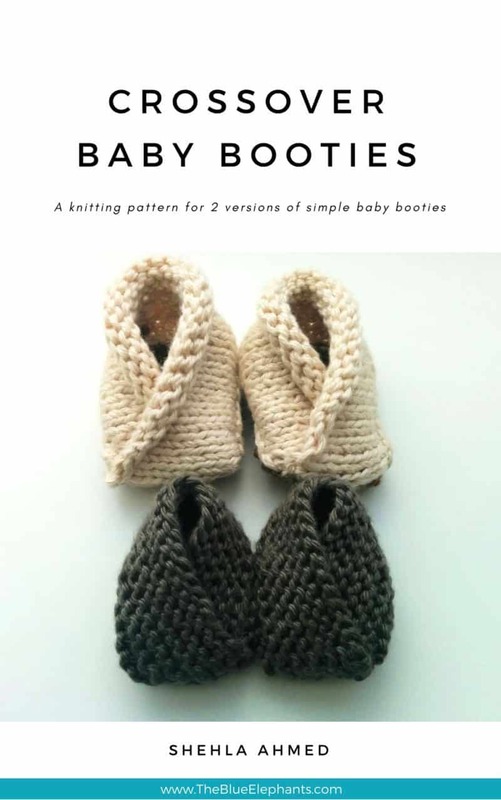 My most popular patterns are the Crossover Baby Booties and the Realistic Heart Plushie. Once I published the patterns, they’ve been bringing me consistent sales without me needing to do any additional work. It’s passive income: Once you create patterns and get them listed, you can make money off them forever. No additional work is needed and you can sell patterns whenever you want, not just when it’s cold out. It’s super easy: Assuming you can write a pattern and make sure it’s clear and easy to follow, it’s really easy to write up patterns for anything you make and put it for sale. And if you don’t know how to write a pattern, it’s easy to learn! 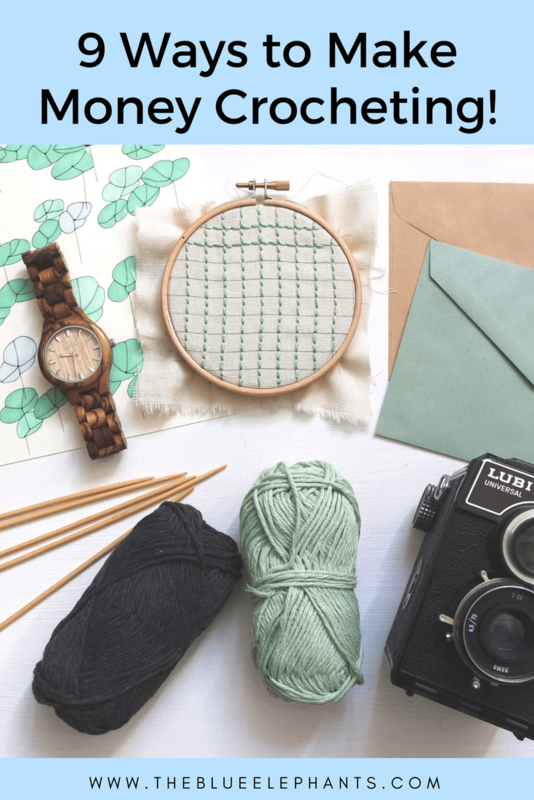 Even if you aren’t great at coming up with your own designs or running a shop seems like too much a hassle, there are still other ways to make money online crocheting. Bloggers and designers are always looking for people to test their patterns. They will pay you to make sure their patterns are error-free and easy to follow! It’s pretty straightforward: Someone else has a pattern they wrote up and you just have to test it out for them. Follow the pattern, look for mistakes and give the designer feedback. You get free patterns: Designers and companies usually give you a free copy of the pattern in return for testing it, which is always nice! You can try new things: Since there are so many patterns and techniques and everyone does things in their own way, you learn a lot when testing patterns. Whether it’s using a new way to finish or a different stitch, it’s a great learning experience. You don’t always get paid: You may get free yarn or free patterns, exposure for your social media or some other form of compensation, but you won’t always get paid in money. You’ll know beforehand, of course, but if you need the extra income, this isn’t the best route. Payment can be inconsistent: Depending on the time of year or what companies you work with, you may have times where you get paid a good amount, and times when you don’t get paid much at all. It’ll vary depending on a lot of factors. You don’t get to choose what you make: You make pretty much whatever is asked of you. So if you’re doing a hat you don’t really like, you still have the hat at the end of it. 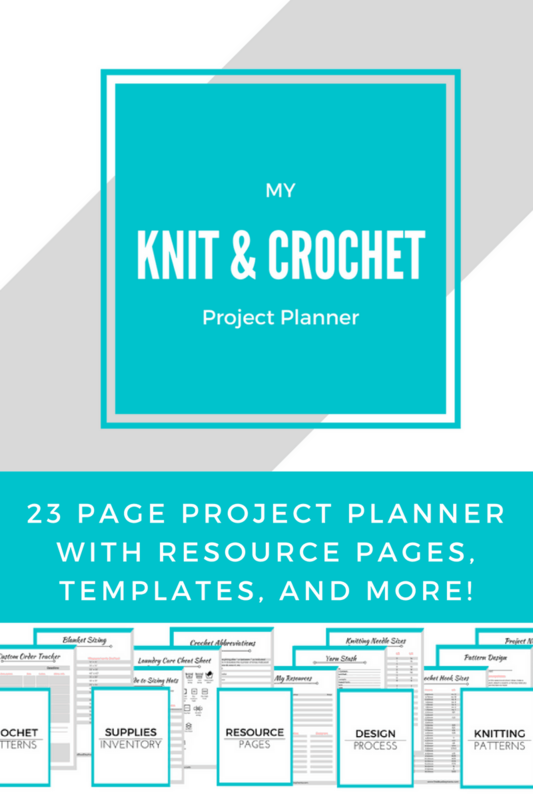 A crochet blog is a lot of work, but you are making money to write about your projects. I’ve been doing this for a few years now and I get paid consistently. I also make a little more each month as I learn what works and what doesn’t. You have complete control over your content: Everything you share and post is what you want it to be. You can do whatever you want really. Options: With your own blog, you have so many options on how you want to make money. You can so as many or as few of them as you want. And you can sell in different places (like Etsy and Ravelry), you can have a shop on your own site, you can use ads to monetize, you can partner with brands, promote the stuff you love, and so much more. You can share more: More than just sharing patterns and finished products, blogging gives you a platform to share other things too. Maybe you can write advice posts like this one or show your favorite way to do something. Build up a community: Over time, you’ll meet a lot of people who enjoy your content and want to engage with you. It’s a community of people who are looking for the same things you are and you get to connect with so many people. Brands give you free stuff/opportunities: With a blog as your platform, companies can reach out to work with you and you can get some great stuff through that connection like exposure, free supplies, and features with them. SO much more! This is my favorite way, and there’s a lot I can say about it. It takes a LONG time to build up to a profitable blog: This isn’t something that happens overnight and it really does take time to get your blog anywhere near ready for monetization. You have to put in A LOT of work, all the time: A blog needs constant attention and you have to work on it all the time to keep it running and growing. It isn’t easy and although it’s worth it, you have to know if you’re willing to give it that time. Fees: Hosting, email service, promotion, seller fees, materials for content, subscriptions, etc. There are free options too but as you grow, you will need to invest in them. It can be lonely: You spend a lot of time alone, on the computer and just trying to get it all done, which can be lonely. Blogging will open you up to other bloggers, and you can network, but the day to day is pretty lonely. With a crochet blog, you have to get a website set up. 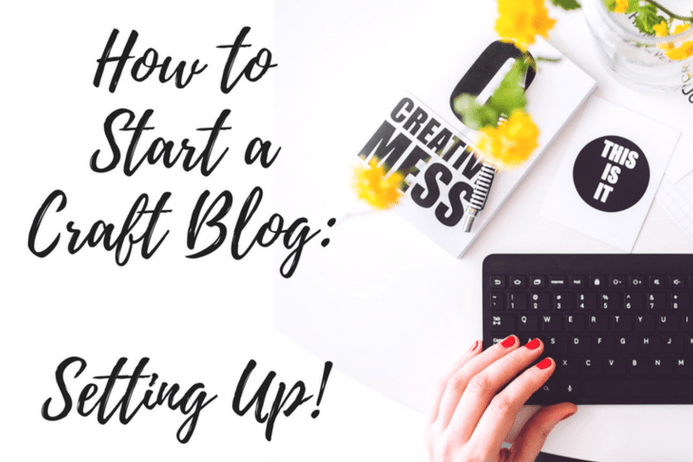 I have a whole series on How to Start a Craft Blog that can walk you through that process. A crochet blog gives you a way to communicate with others you love what you love. It’s more about creating a community and that’s really the best part. I’ve met so many wonderful people doing this and I learn a lot from them too. A blog also gives you opportunities to work with brands and participate in things you wouldn’t expect. One of the highlights of my blogging career has been being part of Ultimate Bundles very first bundle geared towards crafters. I had a pattern included in their Handmade with Love Super Bundle and I get to share that with such an amazing, supportive audience! P.S. Ultimate Bundles also has another offer called the Genius Blogger Toolkit that is all about teaching regular people like me and you how to start and run a profitable blog. Available only from OCT 10-15/2018! The Genius Blogger Toolkit has 41 eCourses, 15 eBooks, 9 printable packs & workbooks, 5 templates, 5 stock photo packs, and 2 membership sites included for a total of 77 items valued at over $5000, but you can get it for $97! Pick the brains of the top bloggers and get their advice on everything from setting up, best business practices, creating content, promoting yourself, and even all the techy things that go into blogging! I love my copy of this bundle and so much of it is from bloggers I already know, love, and recommend. If you’re interested, sign up for it now! You’ll get some extra (limited time) freebies in the coming days even if you don’t end up purchasing a bundle. And when the sale is live, you’ll be the first to know so you can snag your copy! And there you have it, 9 ways to make money crocheting! I hope you guys give some of these options a try and let me know what works for you. Blogging is obviously my favorite way, but I use most of the others too. If you have any questions or want me to expand more on a certain topic, let me know in the comments below! I have had a blog for a year now, and haven’t made any profits from that. I really wish i knew what im doing wrong. I also have a facebook business and keep steadily busy from that, but would love to get my blog running. Starting a blog and actually seeing profit from it takes time. I’ve been working on this blog for 4 (5?) years now and I’m just starting to feel like I did it. It’s a process and you have to constantly get better, but hang in there. In my navigation bar floating at the top, I have a link to a series I’m doing all about starting a blog – you may find it helpful to see what you can do to improve your setup and write content that gets traffic. Getting my traffic numbers up was the gamechanger for me. Be sure to subscribe too because I will be adding more to that series on monetization. Amazing tips thank you. Just one question where is the best place to look at becoming a pattern tester please. There are a few places to start. Check out the forums on Ravelry.com and Crochetville to see if people need testers. You can also follow people on Instagram and Facebook to see who’s requesting testers. You may need to do it for free at first while the designers see if you’re good at returning feedback and getting everything done in time. Good luck! You are awesome, generously share your knowledge and experiences. so that some people may move on this way and create a bright journey. Love these ideas! I’ve been crocheting since I was 8.. I’m 28 now! I love making money from my hobby.